It snows here first and it snows here last. If you are following the snowplows looking for a place to ski, you won’t find a more likely place to get what you are looking for than Aroostook County. 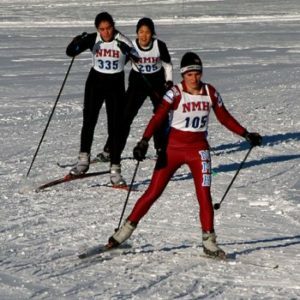 There are abundant opportunities for both cross country and downhill skiing. If there is snow on the eastern seaboard… its probably here. Local skiing at some of the lowest prices anywhere on the East Coast. Walking distance from the Northern Door Inn. Only three minutes from the hotel. Call 207-834-5202 for more information. World class Biathlon Facility, outstanding cross country skiing. Open to the public. Over 20 kilometers of groomed trails. Only five minutes from the hotel. creating a model for the sustainability of rural communities through a skiing lifestyle.